Minimizing surface area and empty space can make for more environmentally-friendly packaging. We can reduce a three-dimensional object to a two-dimensional object by creating a net. We can find the surface area of complex shapes by breaking them down into simpler shapes we know. Environmental impact is not the only factor that influences design of packaging. I also needed to keep in mind that the curriculum requires students to determine the volume and surface area of, among other objects, spheres, cones, and pyramids, in addition to cylinders and right prisms. While the latter two are accessible through analysis of pop boxes, the former were less likely to naturally come up, even in the design phase. “How many chocolates are in each one?” We opened them up and counted. “What’s the weight of each chocolate?” The weight was given on the box, so we were able to determine this based on the number of chocolates in each box. “How much do they cost? What’s the best deal?” I didn’t have the price, but the students conjectured, from experience, that the bigger box was more expensive but a better deal. “What’s the surface area?” “What’s the volume?” BINGO. 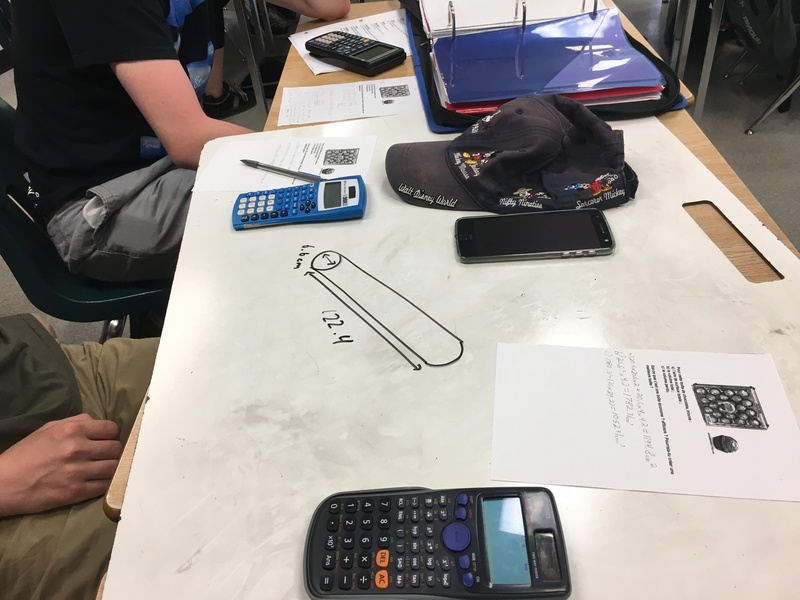 Dimensions were measured and noted on the board. Then, students got to work (as usual, they were randomly grouped into groups of 3 and were working on large whiteboards at their tables). Some groups were prompted to draw a net; others were challenged to go further by being more precise (“What about the flaps?” “What about this open bit?”) When we came together after some time to compare results, a great discussion emerged regarding the area of the hexagonal parts of the large box. As you’ll notice on the (messy) board above, all of the groups decided to find the area of the hexagonal part by dividing it into a rectangle and two triangles. However, while most groups determined the area of these triangles by finding their height using the Pythagorean theorem and the formula for the area of a triangle (giving an area of 10.4cm2 for two triangles), one group reasoned that when you put two of the triangles together, you get a square. Therefore, you can simply multiply the two sides together, which gives an area of 16 cm2. This temporarily stumped the class – after all, the sides are all the same length! Why would the two strategies give different answers? Finally, someone suggested: “The angles aren’t the same.” It’s a parallelogram! “How can we check?” After some discussion, we reasoned that we could use the Pythagorean theorem to check whether the squares of the sides were equal to the square of the diagonal, and determined that they were not. Great error analysis! Proof that we can sometimes learn more from making mistakes than from doing everything right the first time around. The lesson was coming to a close, so I engaged the students in a discussion about efficiency and effectiveness. 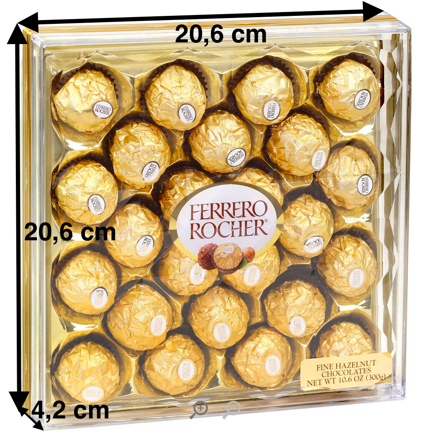 “Which box is more environmentally friendly?” Based on the number of cardboard it uses per chocolate, the hexagonal prism box is (much) more efficient. But are there other factors to take into consideration? “Which box is more effective? What does this mean?” This led to a discussion about other factors that influence packaging design, and in particular about the balance between aesthetics and cost-efficiency. Other factors that were brought up were price, ease of shipping and storage (we noted that both packages would tile, but would leave empty space around the edges when stacked in a large box), price, uniqueness, and more. I ended the lesson by alluding to a problem they would all soon be tackling: “How might these boxes be made more efficient?” The conversation was, unfortunately, soon brought to an end by the bell. The next two days of the unit proceeded in a similar fashion, so I will spare the details. On Day 2, students compared the relative efficiency and effectiveness of the ping-pong boxes. 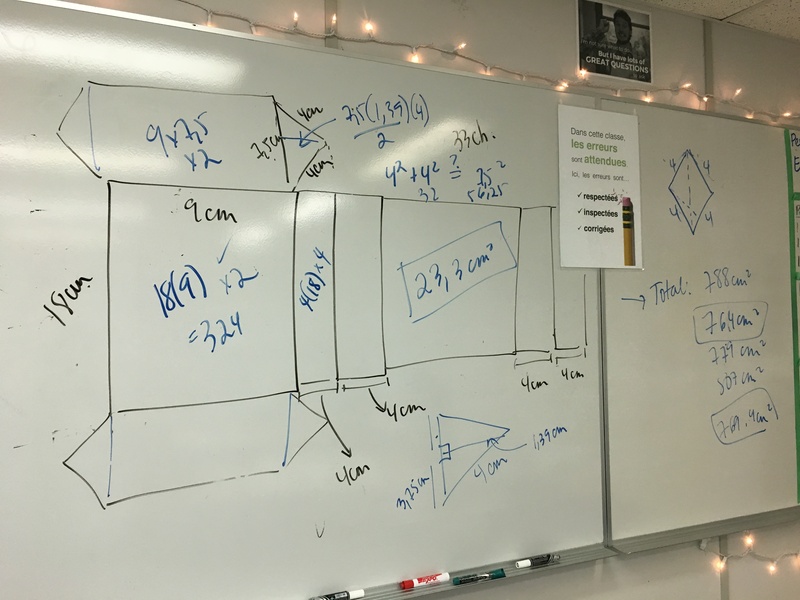 During this lesson, we also returned to the question of volume, as the students reasoned that they could also compare the efficiency of the boxes by determining the amount of empty/wasted space in the boxes, which would involve determining the volume of the contents and the volume of the box. (We compared boxes with different numbers of items by computing the percentage of wasted space in each.) We noted with interest that packages that used less material per item did not necessarily waste less space. On Day 3, we returned to the chocolate boxes, with a few new ones thrown into the mix; students were challenged to determine which one, among all, was most efficient in terms of the least amount of material used and the least amount of wasted space. I introduced new formulas as the need arose, and eventually offered students a formula sheet to refer to as needed. 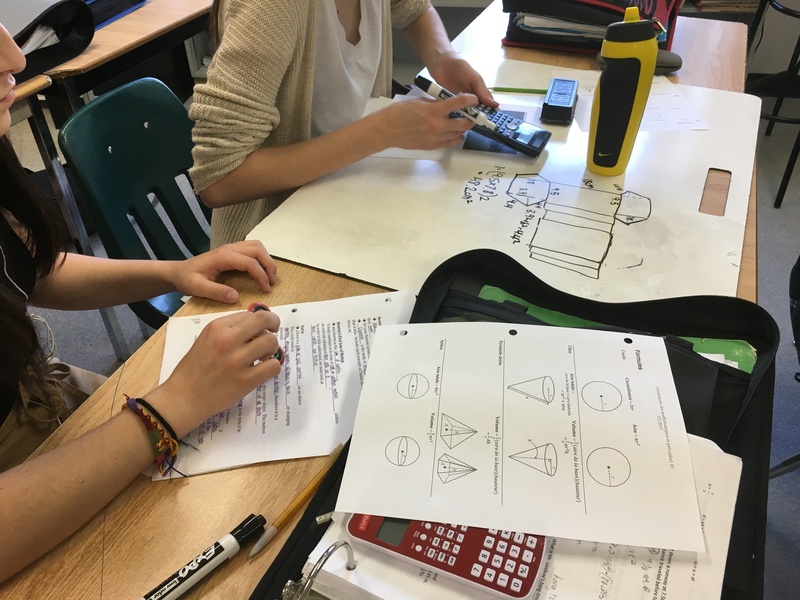 I was happy to observe that students had almost no difficulty with this task; little discussion was needed beyond the sharing of results. It was time to introduce the pop boxes. By this point, students could anticipate the question: “Which one is more efficient?” After a brief debate about Pepsi vs Coke, we started measuring. I encouraged students to be more precise, taking into account the flaps on the boxes. Once the students were satisfied that they had the information they needed, including the height and circumference of the cans, they quickly got to work on determining which one uses less cardboard and which one wastes less space. Your task is to design a more effective pop box. 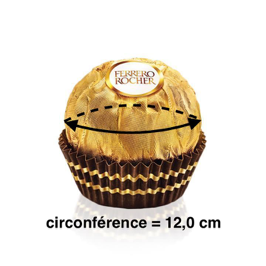 You will validate your design with calculations of surface area and volume. Your box does not need to contain 12 cans: In fact, as designers, you can make any design decisions that you want as long as you can justify why the design is more effective. Your group will brainstorm, take precise measurements, make a net, construct a prototype, and give a sales pitch about your design. Remember that commerce relies on more than mathematical efficiency. If you come up with a sales pitch to sell more pop, design your box accordingly. I couldn’t wait for next week. For now, I leave you with PDFs of the project overview and group contracts which, I stress, are heavily based on Nat Banting’s work. His project binders, which offer resources not only for specific projects but also a framework for developing your own, were incredibly helpful as I organized and facilitated this project. It’s a fantastic set of resources for anyone starting out with project-based learning, and you should definitely check it out. Update: Click here for Part 2.